Rather than integrating entire systems into the estimating services, CCC is betting that signing up individual distributors will be the way to cut through the inefficient Gordian Knot of competing parts procurement systems. 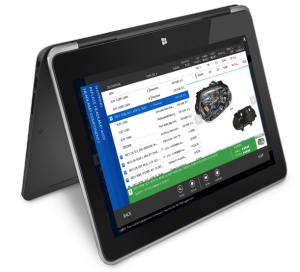 On Tuesday, CCC announced live parts pricing already available for tablet users would come to the desktop version of CCC ONE. 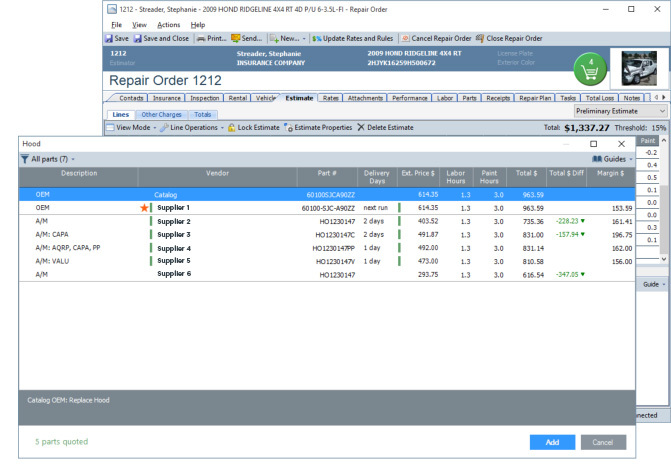 Most collision repairers use the desktop edition. 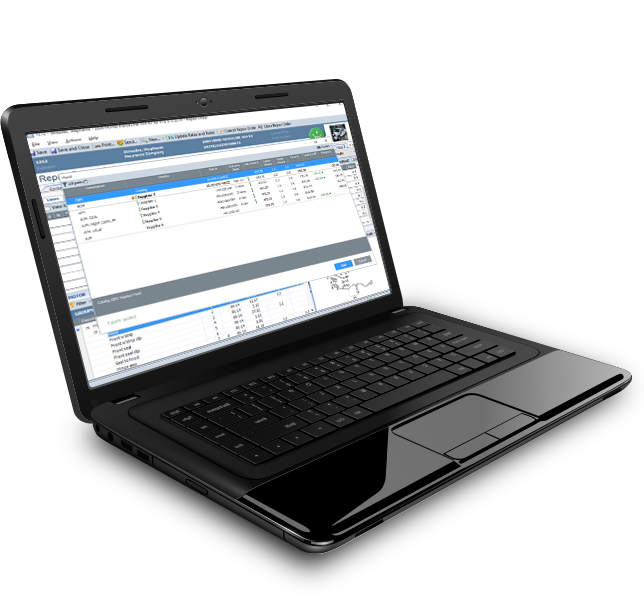 The integration allows participating suppliers to adjust prices as often as they like let repairers writing desktop estimates to compare costs and inventory in real-time. Availability and prices will be displayed for OEM, recycled and aftermarket parts. “It does it just like you’re shopping on the Internet,” CCC Parts Service Group Vice President David Boden said. By getting their area suppliers to sign up for the program, shops can avoid having to leave the estimating process to go hunt down parts through the various systems. “The shops don’t want one more application, they want one application,” he said. However, Boden said CCC ONE’s parts model won’t be able to replace PartsTrader, which is mandated by State Farm for Select Service shops, as that program gives suppliers time to bid for the order. Still, many insurers support CCC’s plan, according to Boden. “Most of the carriers are customers of ours,” he said. Boden said CCC won’t launch the OEM parts procurement for a region until it brings enough local dealerships on board to represent the different OEMs. The system is available nationwide, but only four markets currently have all supplier types. Still, “it’s a guideline, not a rule,” Boden said, and CCC wouldn’t necessarily delay a launch for a single OEM. Aftermarket parts in real-time will be available nationwide, and recycled will be offered market-to-market, CCC spokeswoman Michelle Hellyar wrote in an email. Hellyar wrote that dealerships can offer “conquest” pricing or any other amounts they want into the system. However, she wrote it hadn’t experienced any OEM concerns with list price erosion. 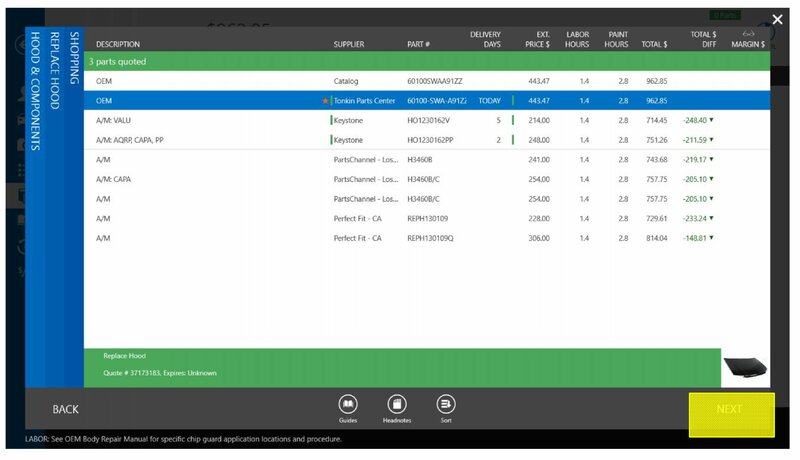 He said the live pricing isn’t too difficult to integrate into a dealer management system, and the transition can usually be done in 30-45 days. “It’s pretty turnkey,” he said. For dealers, the appeal is similar to that for body shops. “We’re not giving him another website,” Boden said. In additional to a percentage of a dealer’s sales made through the system — he wouldn’t disclose the amount — Boden said there were one-time implementation costs for integrating the program with their DMS. “I don’t think any of our existing dealers are groaning about the cost they have to pay,” Boden said. The largest auto parts warehouse in the West, Portland, Ore.-based Tonkin Parts Center, praised the program in a statement Tuesday. Tonkin was among the first shop suppliers to use the system. The invoice to the shop comes through CCC, which means no more reconciling supplier prices with an estimate. Shops also get a message when the parts have shipped, “which is good information,” he said. The other beauty of the system is that a part can be ordered after hours — about 15 percent of CCC orders are surprisingly done outside of the business day, according to Boden — and a vendor will know about it first thing the next day through a DMS notification. “You don’t have to wait for someone to respond,” he said. Correction: An earlier version of this article incorrectly described the availability of the CCC parts program. The system is available nationwide, but only four markets have all supplier types.